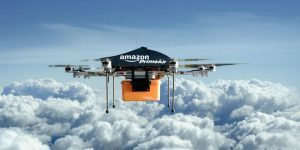 At this time, it is unclear what next steps Amazon or the FAA plan to take in order to get Air Prime and other commercial drones to be permitted in the United States. Given the current regulations, it is doubtful we will be seeing these drones in the near future, however, given that the technology has already been developed, it simply does seem to be a matter of time until your packages will be delivered via drone. [iii] See id; see also Luke Johnson, 9 things you need to know about the Amazon Prime Air delivery service, Digital Spy (Feb. 7, 2017), available at http://www.digitalspy.com/tech/feature/a820748/amazon-prime-air-drone-delivery-service/. [iv] Amazon.com, Prime Air, available at https://www.amazon.com/Amazon-Prime-Air/b?ie=UTF8&node=8037720011. [vi] See supra note 3. [viii] See supra note 4. [ix] See Martyn Williams, New FAA rules means you won’t get Amazon drone delivery anytime soon, PCWord, (Jun 21, 2016), available at http://www.pcworld.com/article/3086790/legal/new-faa-rules-mean-you-wont-get-amazon-drone-delivery-anytime-soon.html. [xiii] See id; see supra note 3. [xiv] See supra note 9. [xvii] See Nat Levy & Todd Bishop, FAA issues final commercial drone rules, restricting flights in setback for Amazon’s delivery ambitions, GeekWire (Jun 21, 2016), available at http://www.geekwire.com/2016/faa-issues-final-commercial-drone-rules-restricting-flights-setback-amazons-delivery-ambitions/.